It’s AI all the way from here on in and that includes e-commerce and fulfilment services and on that note this caught our attention last month. 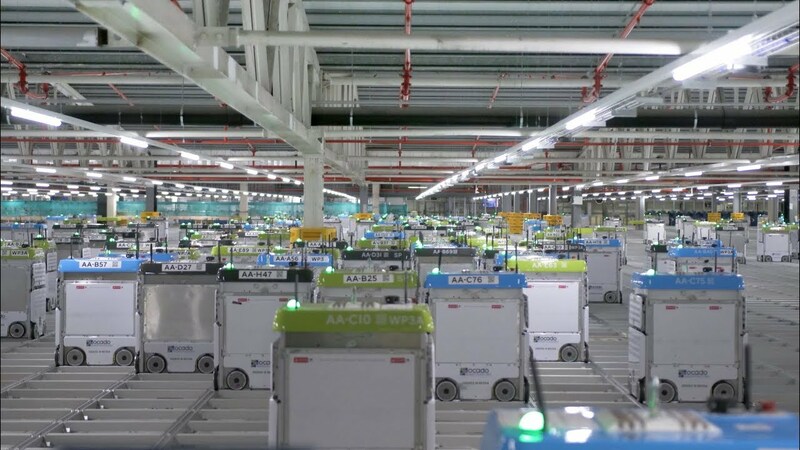 “Firefighters battling an inferno at Ocado’s high-tech warehouse were forced to dodge robots that continued to move while flames raged for three days”. Clearly it was the mother of fires with 300 firefighters in attendance and 20 fire engines (driven by people) the cause of which has been tracked down to a rogue robot which initially caught fire. The site is impressively big and stuffed with the type of technology that will mean that at some time we can all stop working and is has (sorry that should be had) 1110 robots which sort items from overhead guides as part of the order fulfilment, anyway the robots being robots just carried on doing their fulfilment tasks not even stopping to gawp at the scene which is what most of us would do when presented with what must have been such a spectacular show. Imagine the scene a massive burning building with firefighters dodging 1000 manic acting robots as they relentlessly continue with their tasks – it sounds like real world Pac Man and almost as much fun as a cheap seat for a second rate 1970’s tribute band. AI is clearly going to be an integral part of the future and that includes a whole range of marketing services including e-commerce order packing and fulfilment – hopefully there will be spare room left for humour along the way.